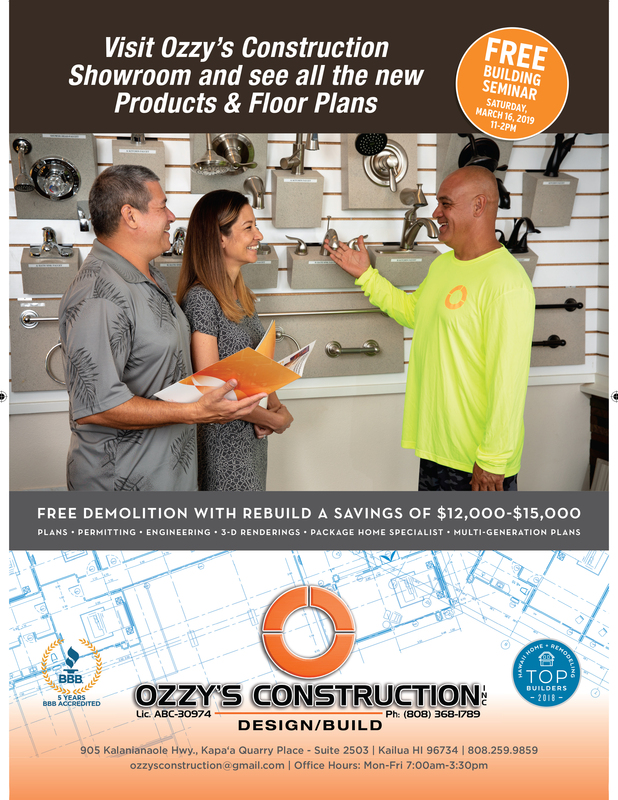 Find a licensed contractor http://cca.hawaii.gov/pvl/boards/contractor/ or hopefully you will choose Ozzy’s Construction as your contractor. 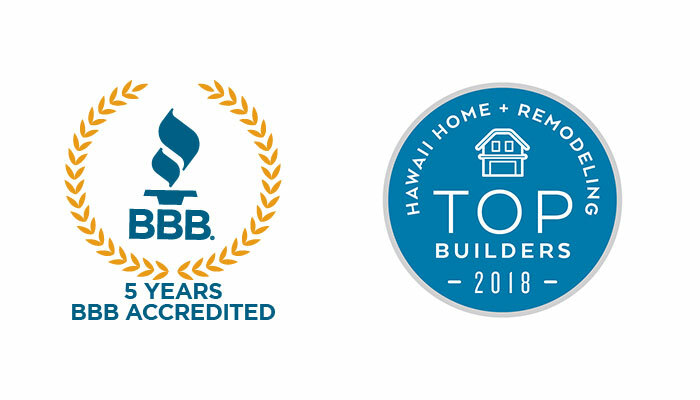 Schedule a site visit with your contractor. Once drawings are finalized, then it’s off to the Engineer to do his part (this steps may take a week or two depending on comments from the Engineer to the architect. Once drawings are stamped by the Engineer, then it’s off to DPP (Department of Planning and Permitting) for about 2 1/2 months, if a demo permit is needed, then consider it 3 months lead time for both permits. Hooray, your permit(s) is ready! Now it’s time to schedule another meeting with the contractor to set and start date and time.